Miller Fusion 160 Portable Welder - Keen Compressed Gas Co. The NEW Miller Fusion 160 is here! 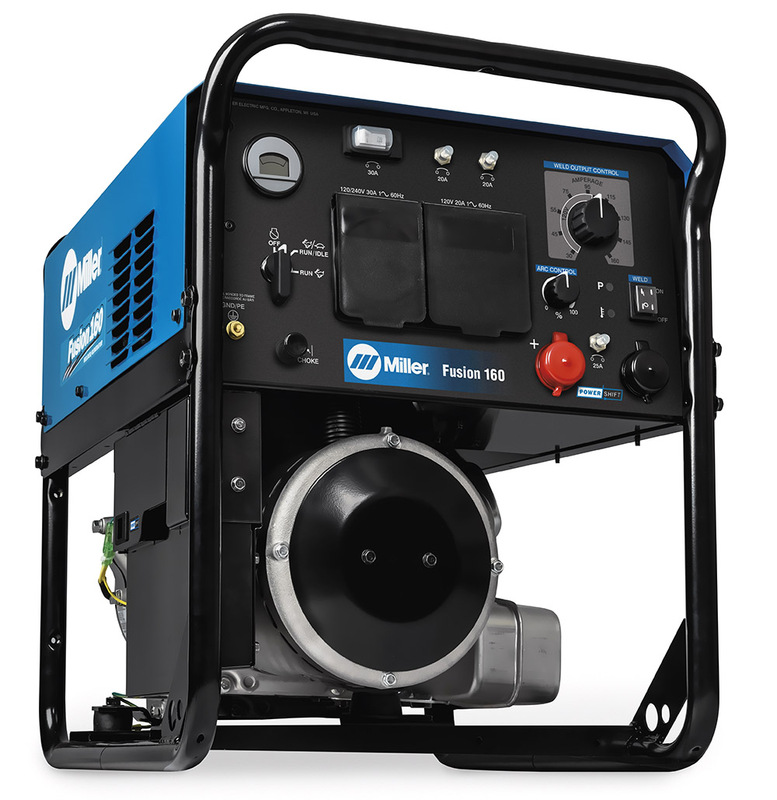 The Miller Fusion 160 is a welder/generator that offers portability, versatility and weld quality. Easier to transport: The Fusion 160 welder/generator weighs 222 pounds. That’s up to 70 pounds less than similar machines, so moving the Fusion 160 is easier and faster. Less time is spent waiting and more work can get done. Adaptable: PowerShift technology lets you work outdoors using the engine or weld indoors by connecting to either 120V or 240V utility power with the MVP™ multi-voltage plug. Less rework: Uses inverter technology to deliver a smooth, stable stick arc that’s forgiving of variations in arc length and travel speed, so it’s easier to produce clean welds that meet specifications and avoid the time and expense of rework.